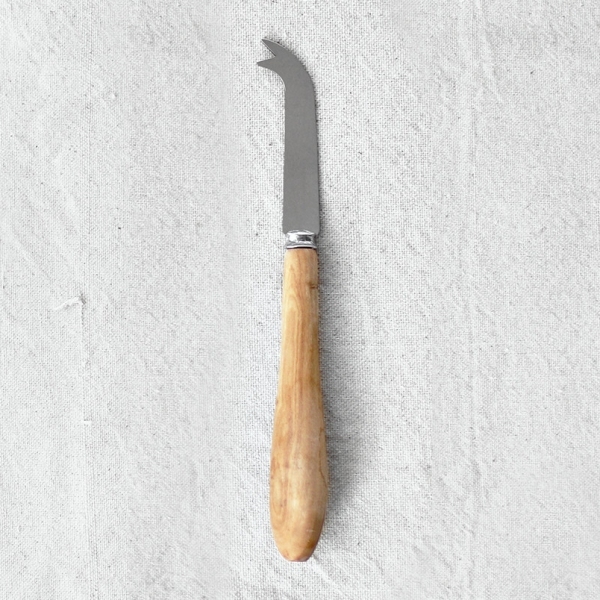 Our stainless steel hard cheese knife features a two prong tip ideal for breaking apart larger chunks of cheese. The wood handle is handcrafted in France from olive wood. Knife measures 7.5” in length.